For some reason I always feel like the Bingo Players hold on to their releases for ages, teasing fans with previews for ages. 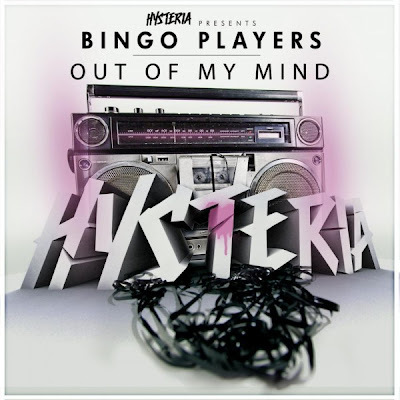 Today the Dutch duo has finally dropped a much-anticipated track, “Out Of My Mind,” via their Hysteria record label. Like “Mode” the song features the artists’ signature short synth progressions and strong female vocals, yet with a bit less bounce and a more industrial feel. Maybe it’s just me, but the combination of the singer’s voice and the background chords during the break reminds me of some classic 80s song… Anyways, my only critique of Bingo players: release more music!